Karwa Chauth is celebrated with fanfare in Bollywood every tear. And 2018 was no different. While it's mostly women who fast for their husbands on this day, a few good men, too, believe in fasting for their wives. While women across the country celebrate the festival with utmost zest, Bollywood and television celebrities, too, are not far behind. They ring in the special day with their loved ones and break the fast in the company of their partners. In case you missed out, here are some of the best photos of how celebrities celebrated the festival of Karwa Chauth. 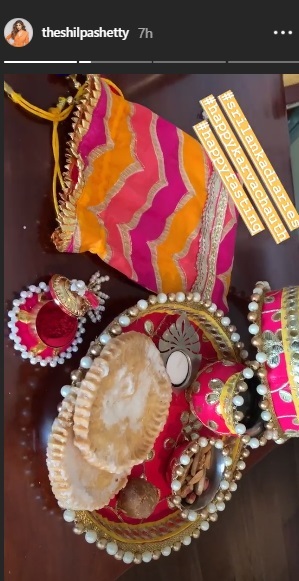 Anushka Sharma observed her first Karwa Chauth fast this year and husband Virat Kohli who is busy with matches with West Indies made sure to be by her side. Their adorable photo broke the internet. Many others shared their love for each other by celebrating the festival.